I don’t remember the very first time I ever made cookies, but I do remember licking bowls and beaters completely clean. Why is cookie dough so good!?! I do have a somewhat dream-like vague memory of sitting in my sister’s (IN Baker) room and smelling something burning. Then when I stated the fact I could smell something burning my sister jumping up and running to the oven. We must have forgot to set a timer, funny though I don’t remember anything else. Except that it was chocolate chip cookies that we were baking. I don’t remember making the cookie dough, nor what we were doing prior to the burnt smell, not even what happened afterwards. Were the cookies beyond help? Was there dough left over? I’ll never know, as my sister doesn’t recall that particular cookie baking experience. - Melt butter and let cool a little bit, put both sugars in a bowl and then beat in melted butter. - Clever tip for those of you who don’t have ice cream scoops use a ¼ measuring cup to make all your cookies the same size! Keep batter in fridge between baking. - Bake for 15-17 minutes. Cool on baking tray for 5 minutes. I only have one baking tray so I never wait the whole 5 minutes. Another clever tip from Nigella, unbaked cookie dough can be scooped into cookies and frozen until solid. You can then cook from frozen adding an extra 2-3 minutes on to the baking time. My dad loves home baked cookies. That was random, but it’s one of those things I think about when I see or make home made chocolate chip cookies. 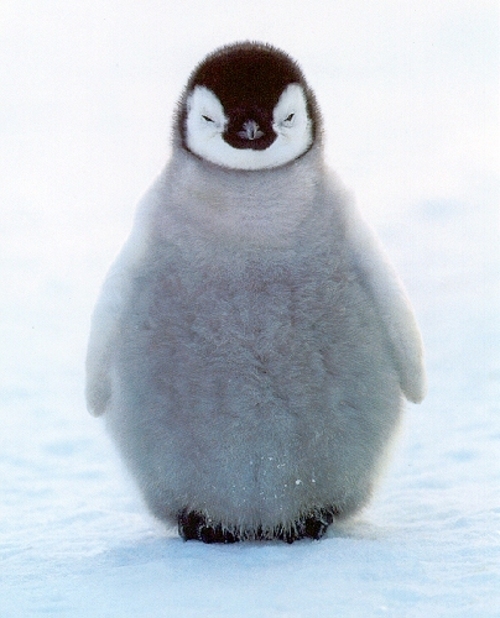 Like when I tell people I like penguins and then end up with an endless supply of penguin covered stuff I don’t need. I dare you now to look at penguins and not think of me!! I love Nigella!! Have you used this one? !